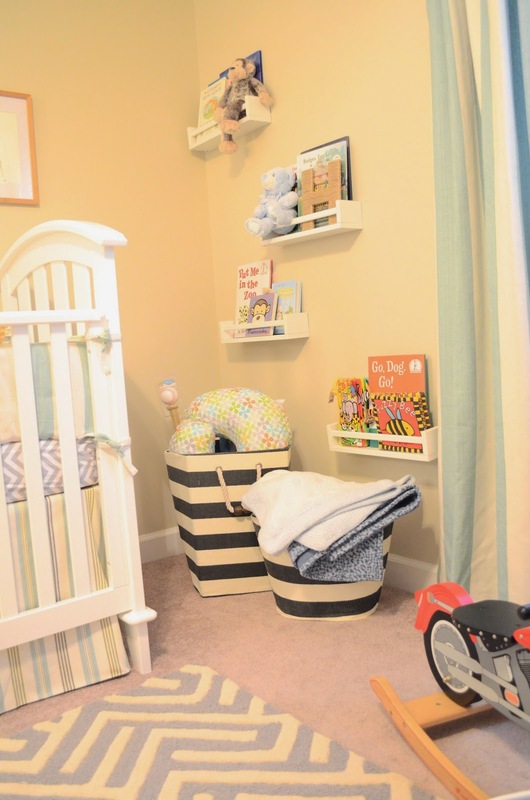 I had so much fun helping pull this nursery together. Some of my very best friends from home are having a baby boy and asked for my assistance. Yay yay yay! After a little planning, we decided on a variation of stripes…in shades of aqua, cream, green, and gray. 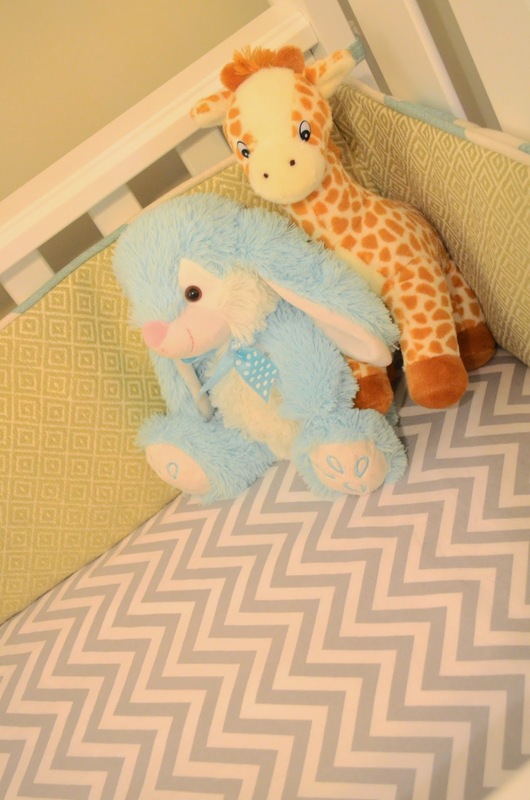 The result is a fun mix of pattern that’s still soft, and ready for a baby boy. Murphy, the current prince of the house, helped me take a few pics of his soon-to-be-here brother’s new room. Murphy’s portrait hangs in the rocking corner. I love it! The gray and cream geometric rug grounds the room and is super soft under foot. 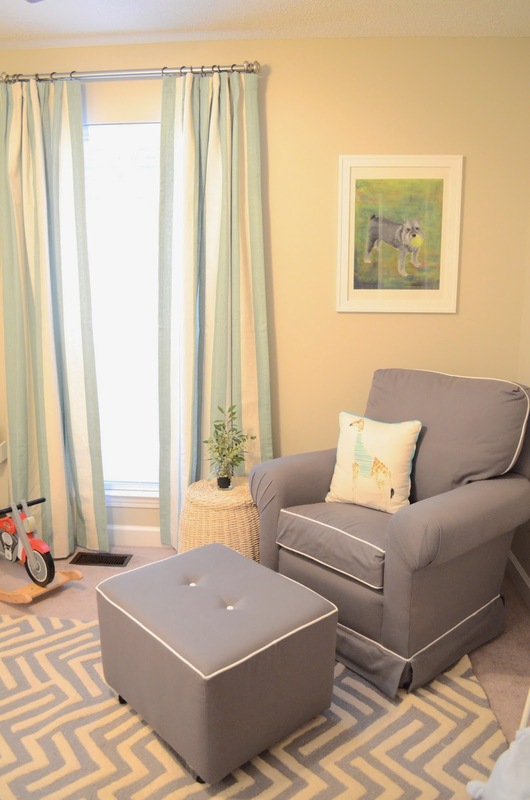 I love the charcoal gray glider and ottoman – the contrast piping gives it a preppy punch. Wide aqua and white stripes flank the window….I am a little cray over this fabric! 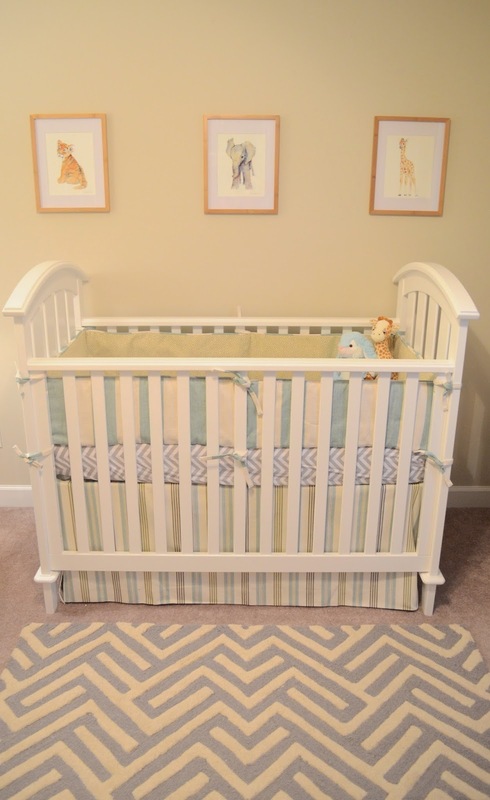 Baby animal watercolors in white mats and natural wood frames add a sweet touch over the classic white crib. 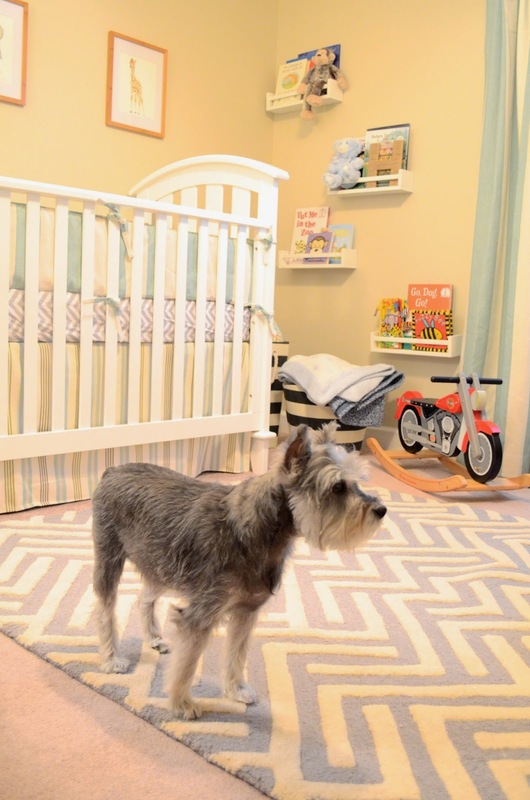 The crib bumper is a mix of the same wide aqua stripe and a contrasting geometric green along the other side while a chevron crib sheet ties in with the rug. 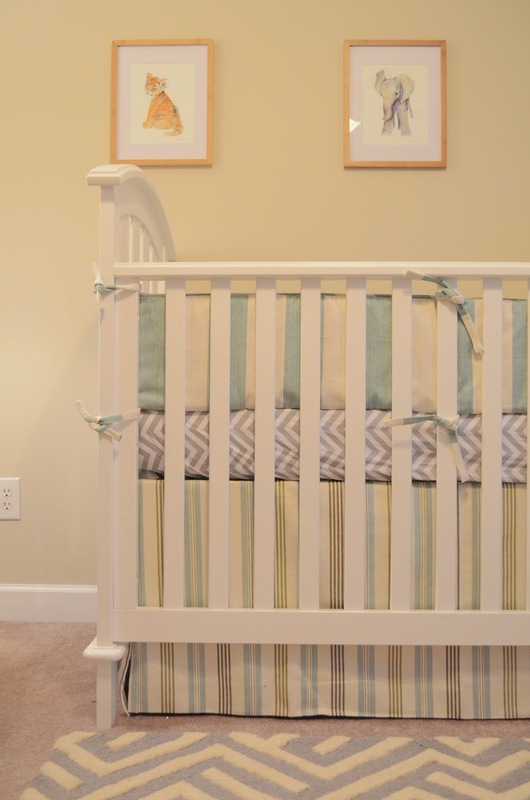 The timeless stripe of the crib skirt looks clean and chic. 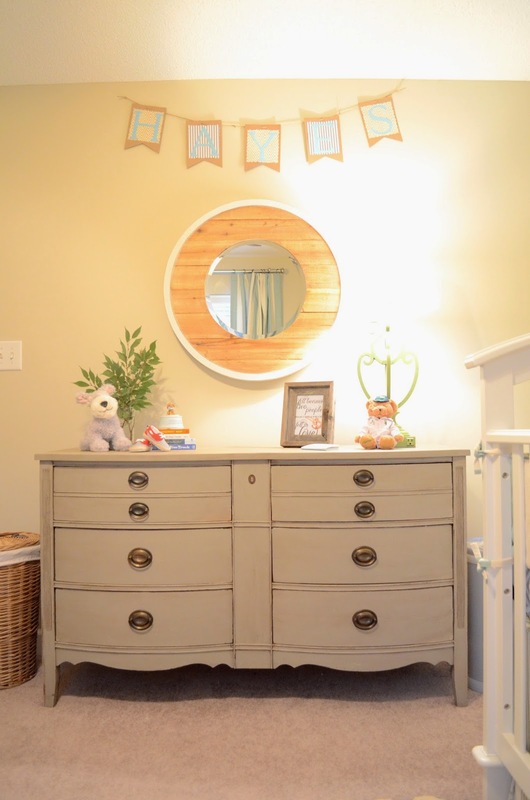 The handsome distressed gray dresser and round wood mirror will work in a big boy room too! 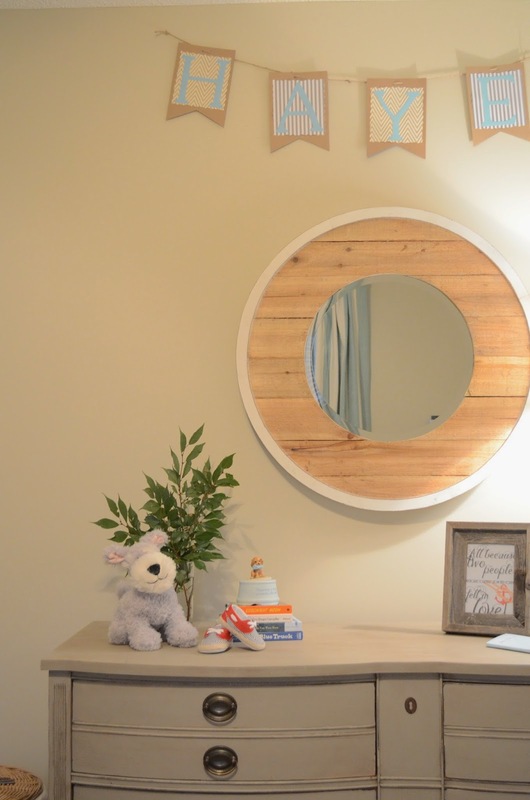 Here are a few more deets around the room…it’s all ready for it’s occupant to arrive! I can not wait to meet him!